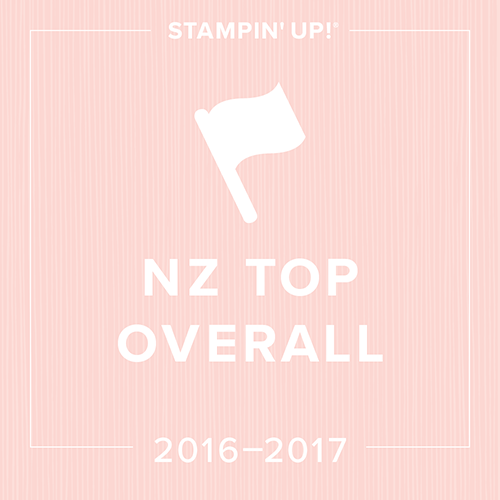 Hello and welcome to my little Stampin' Up! Blog. It's an exciting time of the year for the S U community as we await the release of the new 2015-2016. catalogue. This means on the 2nd June yummy new products can be ordered. 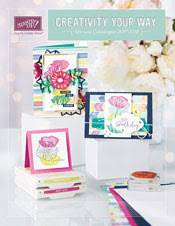 Please contact me sally.robertson@email.com if you would like to buy the idea book/catalogue ($5). Without further ado, come and take a look at some new colours and products. First up the new in-colours. From the left: Mini Macaron, Tip Top Taupe, Watermelon Wonder, Cucumber Green, and Delightful Dijon. I find that I am gravitating to the first three in my crafting thus far. 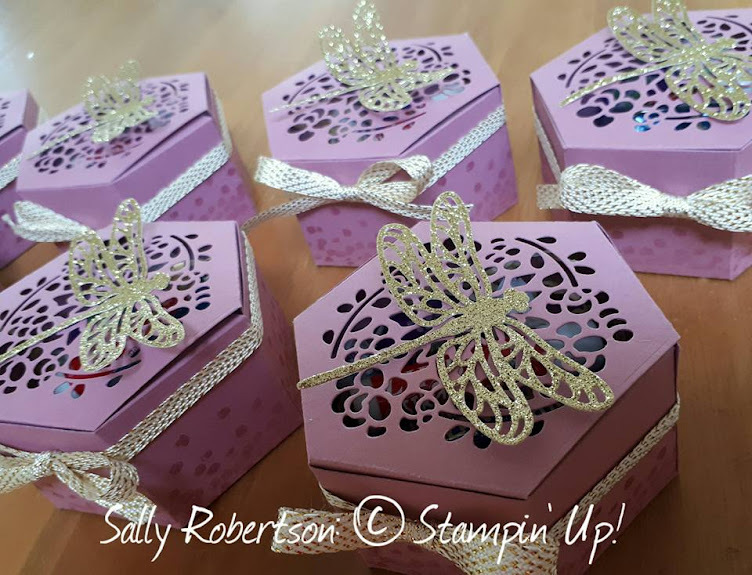 Now to introduce you to a really neat and versatile set: Sprinkles of life. The cool thing about this set is that for every set purchased, $3.50 (NZD) will be donated to Ronald Macdonald House Charities. The set can create trees, cupcakes, ice creams, clouds, to name a few. It has a bird, flower, apple, leaves, sprinkles..... It also coordinates with the new tree builder punch. Come and see. The tree tag has the new in-colours cucumber green, watermelon wonder and tip top taupe. And now for the cupcakes. The base is stamped and cut out. The cake is punched using the tree builder. This is my fav of the three. Yes the banner has been punched with the new banner punch. More on that another day. I hope you have enjoyed my wee sneak peek today and yes there will be more to come in the next few days as we approach the big day.